June 1920. In a house with a red door lies the body of a woman who has been bludgeoned to death. Rumor has it that two years earlier, she'd painted that door to welcome her husband back from the Front - only he never came home. Meanwhile, in London, a man suffering from a mysterious illness first goes missing and then just as suddenly reappears. He is unable to explain his recovery. Inspector Ian Rutledge must solve the cases. Who was the woman who lived and died behind the red door? Who was the man who never came home from the Great War, for the simple reason that he might never have gone? And what have they to do with a man who cannot break the seal of his own guilt without damning those he loves most? Solve another case with Inspector Ian Rutledge. The Yarn Unraveled for Me . . . The performance was really good . . . the story, though, was like chasing a two year old in a candy store . . . not easy and not very rewarding . . . it got good in the end, but trying to tie up all the unraveled yarn by that time was impossible . 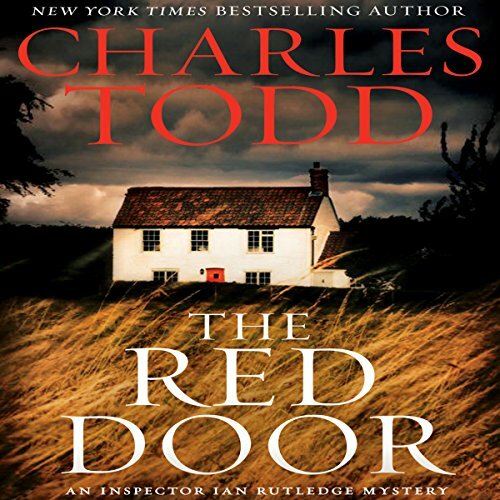 . .
More than just a "red door"
I am thoroughly enjoying this series of mystery novels by Charles Todd. In "The Red Door," Todd starts off with the door and the owner of that door, but it isn't until far along in the novel that the connection is made between the door and the latter characters and circumstances. An interesting trope, it kept me intrigued because I kept listening, wanting to know how the door and its owner were related (if at all) to the other characters. Even once the connection is made, the reader is kept well in the dark regarding the identity of the murderer. Admittedly, the conclusion of the novel seemed rather convoluted, and I did feel a bit of grudge at Todd for throwing what I think was a red herring in the narrative. 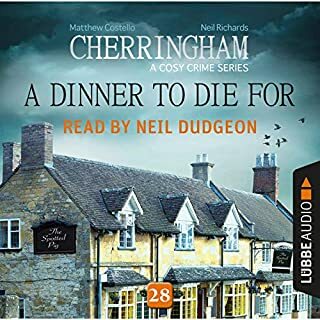 Todd is a bit selective in who he chooses to provide narration for: we hear the thoughts of Inspector Rutledge, of course, but also of other characters, which can throw you off. You, the reader, think you're getting more information than Rutledge can possibly get. It's a deceptive, but forgivable, approach. Rutledge's own psychological scars from WWI often threaten to derail his investigations, and they definitely threaten his chances at peace and happiness in his own life. Todd's sympathetic rendition of the "collateral damage" of war borders on the poetic, making such depictions heart-rending. These novels would not be the same without Rutledge's ever-present ghostly companion, Hamish. As adversarial as Hamish can be at times, he also helps Rutledge, working with him to understand and solve the cases. Hamish may not be real, but the reader can't help but believe in his existence in much the same way that Rutledge does. Simon Prebble has an uncanny ability to provide enough distinctiveness in the characters' voices without resorting to caricatures. If you like puzzling mysteries, ones that make you think more than flinch, then do listen to this installment of the Inspector Rutledge series. On the one hand the mystery was compelling - I kept listening to find out the solution - but there were too many suspects, all in the same family, and not only do most of them seem suspicious, several are suspicious of each other. Even after the primary case is solved, the mystery continues and becomes more convoluted. I just finished listening to the book after several hours straight and I'm still confused about what really happened. Also, there is a second minor case, totally unrelated, that keeps coming up - I don't think this added anything to the book - almost seemed like filler. 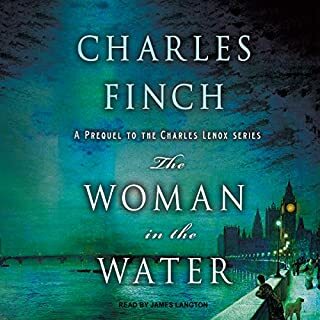 I like the Ian Rutledge series very much and although this book was the audio equivalent of a page turner, it is not one of my favorites. Simon Prebble does his usual excellent job of narrating but in spite of that I think maybe this one would be better read in print. It would save a lot of rewinding to try to keep things straight. Don't skip it, though. It's definitely worth listening too. Just be prepared to pay close attention to the members of the despicable family at the center of the mystery and how they are connected to each other. This is one of the better Ian Rutledge mysteries in the series that started in a Test of Wills, with Hamish still ever present. It is a great listen, but one that needs full concentration as the plot is full of shifting complexities. Decent story that develops too slowly! I generally like the Ian Rutledge series, but this novel is boring. As always, narration by Simon Prebble is outstanding. A bit of a disappointment! 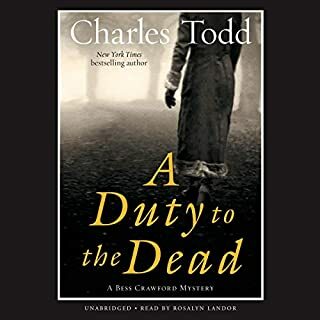 Having learned that "Charles Todd" is actually a mother-son writing team, I can only surmise that their communication regarding the writing of this book slipped a cog now and then. I am a big fan of the Inspector Ian Rutledge series, and the novels are usually tightly plotted and have a pleasant rhythm to them, which is carried out superbly by the voice of Simon Prebble. This book, however, could not seem to decide where it was going. Poor Rutledge must have put thousands of kilometers on his car, driving all over Southern England and back to London over and over, as he sought to solve two (three? four? five?) completely unrelated cases. I kept looking at the time remaining on my iPod and wondering when it was going to be finally over. Diehard fans will, nonetheless, probably want to read this book, if for no other reason than to track the events in Rutledge's life, as there are some notable events in this book. Just don't expect the usual well-written story - it is tolerable, but not up to the usual Charles Todd standard. This is one of my favorite mystery series. 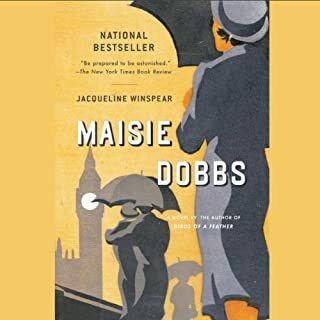 Its protagonist is unique and, in most of the books (this one is an exception), the physical and (especially) the psychological setting of post-WWI England are engrossing. Simon Prebble's narrations are excellent. That said, this entry is disappointing. After a promising and intriguing start (maybe the first 1/3 of the book), the story loses focus. Inspector Rutledge is constantly crank-starting his motor car as he travels back and forth across southern England multiple times following the threads of three cases. He gets exhausted and so did I. I'm all for unexpected twists in a whodunnit, but in this one the twists tangle into a Gordian knot that is totally frustrating (to say nothing of unbelievable). 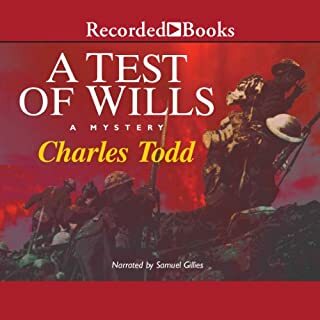 If you have never tried this series, you should read the first one ("A Test of Wills") first; a superb book, it lays groundwork for the main character(s) that is essential. After that may be helpful to read the series in sequence, but I haven't and have still enjoyed them. And I'd advise skipping this particular entry. Somehow I started with just one of the books in the series but soon bought all of them back to back. FYI: This is the 12th in the series. 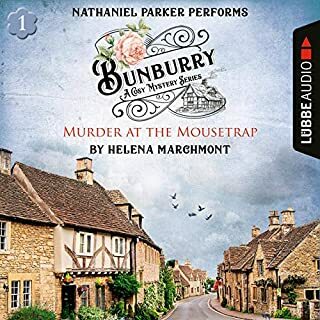 Simon Prebble, as always, is a superb narrator - much better than Samuel Gillies, who narrates like he's performing "Hansel and Gretel" to 6 year olds! Glad I didn't pay attention to the negative reviewers on this one! Loved all the ins and outs. For all the Todd/Rutledge lovers, this is a treat.